I officially met Sian Richards on Facebook last year and we hit it off right from the start. Unfortunately even though I was dying to get some LBC brushes the whole challenge of shipping was a huge hindrance and so the whole process slowed down. 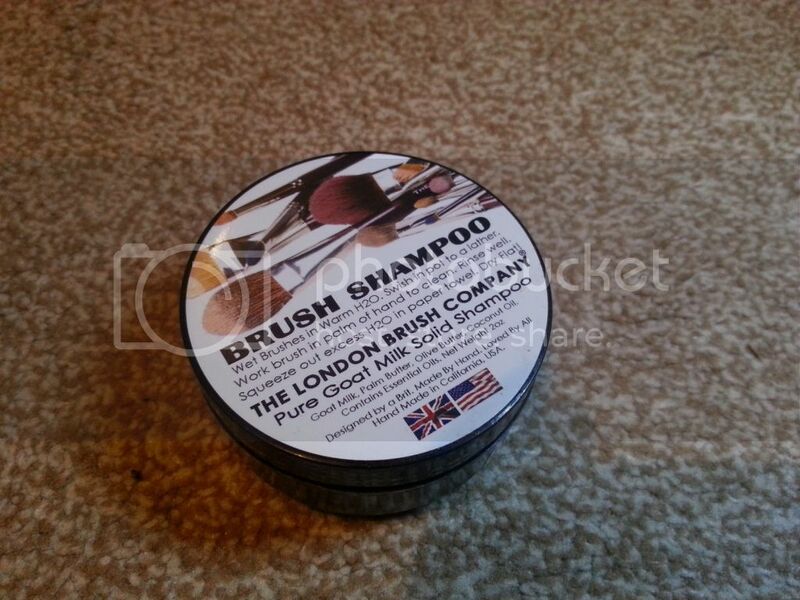 Reading reviews about and seeing pictures of the London Brush Company brush shampoo in a pro MUAs group did not help matters at all as it made me long to get it. Thankfully, someone else was thinking ahead on my behalf! It was the very first day and they weren't officially open as Funke had just come back from the TMS. I went to spend the day at the Gifty's Daughter Lagos store and help with organising everything. I spied the LBC brush shampoo and just had to have it so I got it. without much ado I used it that very first day and it was just awesome. The portability of this product is just great. It is lightweight and occupies no space at all. You can throw it into your handbag or somewhere in your kit and not worry about it spilling or crushing or damaging anything. It reduces water wastage tremendously as the suds wash off quickly and easily. It takes off the dirt in the brushes really fast (I noticed that the dirt practically came off as I swirled the brushes in the product). It is really easy to rinse off the dirt on the product which accumulates when you swirl the brushes in it. This product is really a time and energy saver as well as getting the job done with minimum fuss. Who has used this product before?